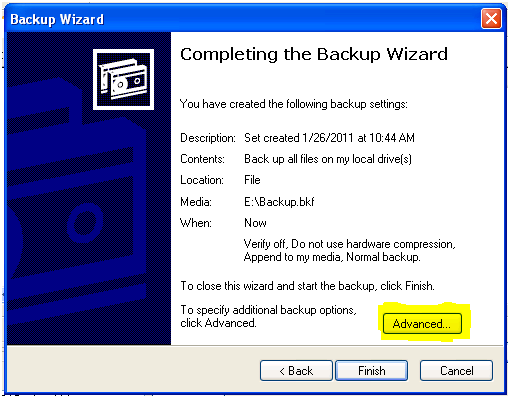 Backups! Backups are one of those things that everyone knows they should do, but many people don't. 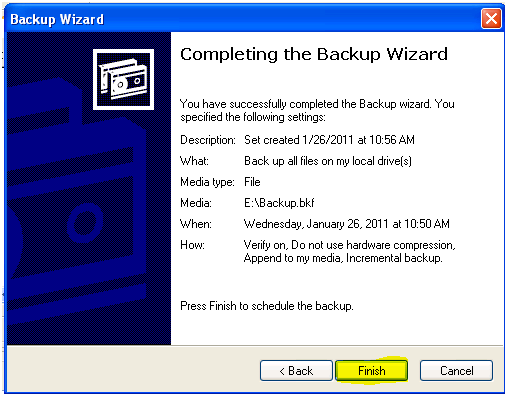 If your hard drive goes bad, though, you'll want that backup. 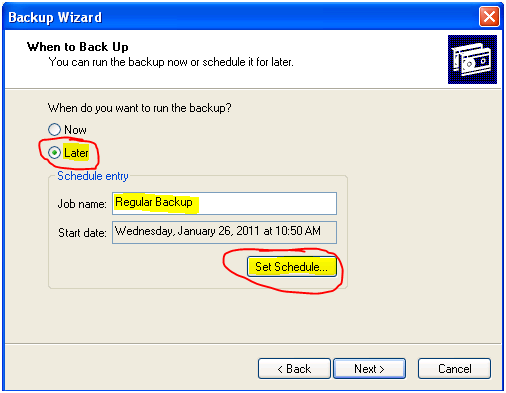 These instructions will help you to create a backup of your Windows XP machine, and schedule it to run regularly. Remember that to back up your hard drive, you need a second hard drive as large as or larger than the one you are using. This can be an internal or external hard drive, we recommend external so that you can take the drive offsite so that you have a backup for disaster recovery. Before you start these instructions, you'll need to have connected your second hard drive. 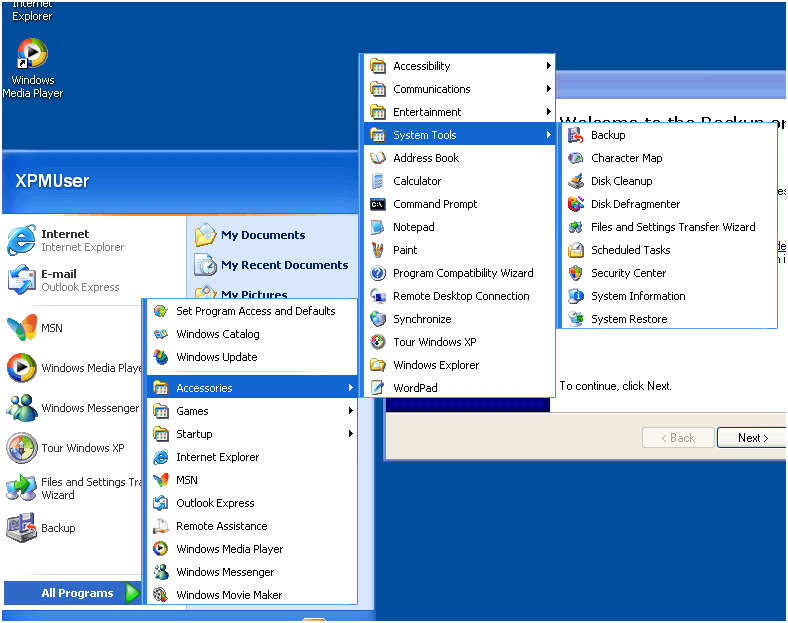 To start out, you'll need to go to go to the Start menu and navigate to Programs – Accessories – System Tools – Backup. 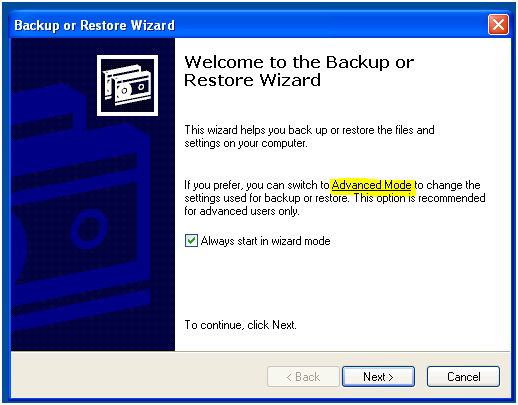 Once you're in the Backup or Restore Wizard, click the Advanced Mode link. 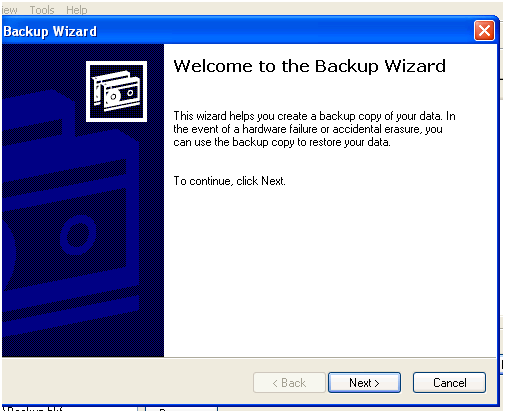 Next, click on the Backup Wizard (Advanced) button. Click on Next &gt;. We want to Back up everything, so again, click Next &gt;. Like we said above, we want to backup to another drive, so in this case, we are going to backup to the Removable Disk (E:). Your drive letter may be different. 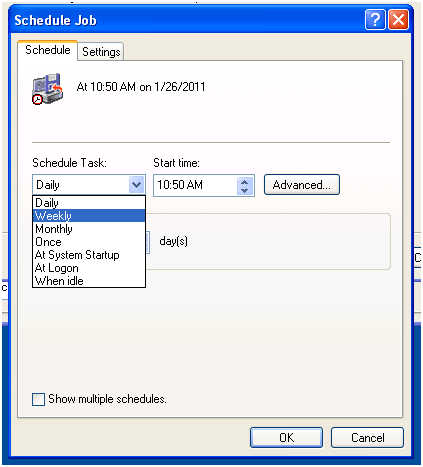 Now that we have the job defined, we need to schedule it so that it runs regularly for you. Click on the Advanced button. Now, we're going to select the type of backup we want. We want to run an incremental backup, so select Incremental as the backup type, then click Next &gt;. 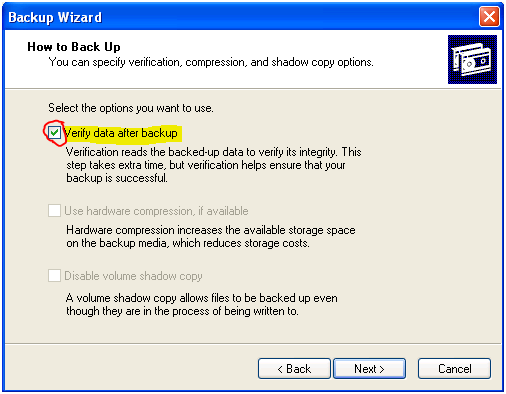 We want to verify the data to make sure that the backup ran, so check the Verify box, then click Next &gt;. 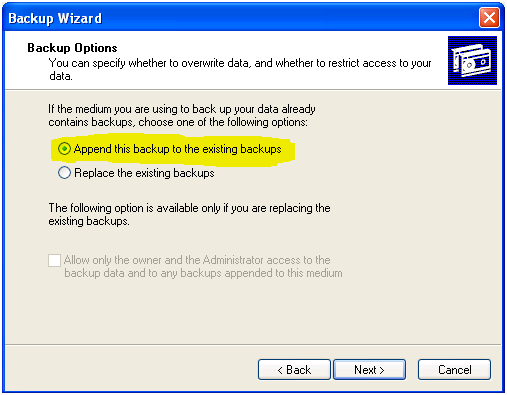 We want to append our backups, so select the Append this backup to the existing backups option, then click Next &gt; Now, we need to tell the backup when to run. We're going to select Later, call the backup Regular Backup, and then click on Set Schedule. 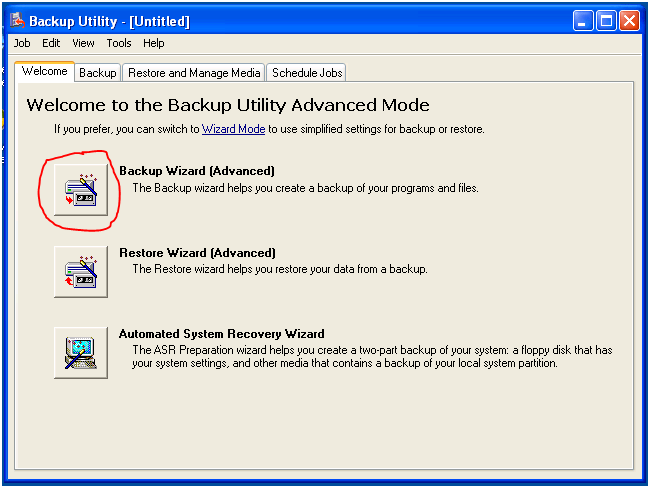 We want the backup to run Daily at a time when the machine will be on, and we want it to run every 1 day(s). 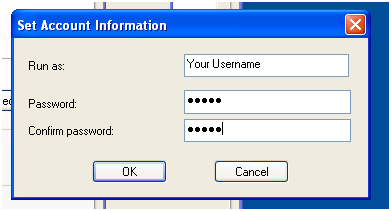 Then click OK. You'll need to enter in your username and password so that Windows can run the backup even if you aren't logged in. Now click Next &gt;. Click Finish and you are done! Your backup is scheduled. 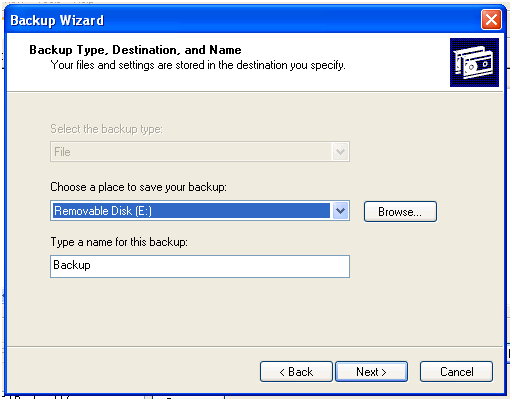 Now, as long as your external drive is plugged in, your backup will run! At RUN Networks, we also offer a managed backup solution that we will monitor to ensure that your data is being backed up. Using our services, if your hard drive goes down, we can get you back up and running with a new hard drive in a few hours. Call or email us today if you would like to know more.